I knew that Cantgoslo shirt design looked familiar. 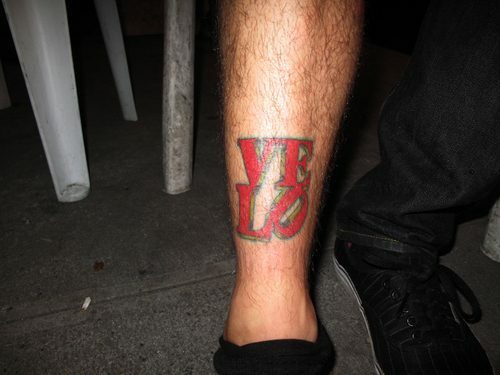 Wilis’ shin tattoo that he got in Philly. LOVE park letters spelling Velo. Great idea!